One of the best ways to winterize your home is to simply block obvious leaks around your house, both inside and out. Our recommended home power cost monitor enables you to track and control your electric power consumption in real-time, cutting 6-18% off your monthly electric bill by giving you immediate feedback on your hourly electricity cost. It also allows you to determine which appliances and lighting use the most power, and you can adjust your consumption if you see an increase in your projected bill. This is the only unit on the market that does not need the services of an electrician to install. Save $20 thru December 15, 2010. Now just $90! 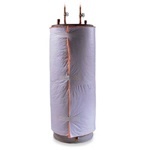 This thick insulating water heater jacket fits easily around your heater and can prevent up to 45% of heat loss, saving 9% in heating costs. This energy-saving product is one of the best insulation values for every home, and it meets and exceeds the U.S. Department of Energy’s standards. Water heating costs can also be reduced by installing water efficient shower heads, faucet aerators and by simply lowering your hot water heaters temperature setting. For each 10ºF reduction in water temperature, you can save between 3-5% in energy costs, since most households usually only require a 120º F setting. Insulating domestic hot water pipes is one of the easiest and most cost effective measures you can do. Tube pipe insulation may be used on domestic cold and hot water pipes. Pipe insulation will help to reduce heat loss by up to 80 percent through hot water pipes and will stop sweating on cold water pipes. Pipe insulation can also help reduce plumbing noise. 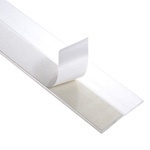 It is pre-slit for easy installation (simply snapping onto the pipe), and may be trimmed with a utility knife. One package includes four 36 inch long pieces. In less time than it takes to peel a sticker, you can install this draft stopping Self-Adhesive Door Sweep. Seal in comfort, seal out drafts and save your heating and cooling dollars year round. There are no special skills or tools needed to install, just cut to size, peel, position and stick into place. Completely clear plastic, almost invisible! 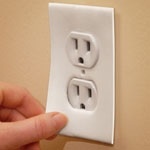 Seal out drafts that make their way into your home through your power outlet plates. Yes, there is cold air blowing out of your air conditioner, and it’s not just during the summer months. 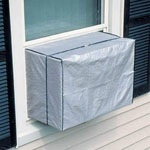 This durable, weather-tight, reusable Air Conditioner Cover protects the AC from the elements (rain, snow and ice) and you from heat loss during winter months. Designed to fit units 5,000 to 10,000 BTU. 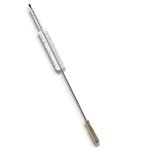 This Refrigerator Coil Cleaning Brush has a unique tapered design that enables the efficient cleaning of refrigerator coils. Refrigerator coils and the fan area collect dust, reducing refrigerator efficiency and wasting energy. Regularly cleaning dusty refrigerator coils can improve refrigerator efficiency by up to 30%. Refrigerators account for up to 8% of your electric bill. The Refrigerator Coil Cleaning Brush a power saving product that cuts electric consumption. For help winterizing your home or living green call us. Who would have thought a clock could be the center of attention. The wall clock is a special piece in the home. On one hand it is highly functional, displaying the time in a prominent and public manner, ensuring that the passing minutes and hours are never totally forgotten. On the other hand, the wall clock is a highly visible feature in a room. It can sit high upon a wall, overlooking the space, casting its countenance across the room. In such a prominent position, the style of this piece becomes an important component of the rooms overall look. This dual spirit makes the wall clock relatively important to a room, and as such you should spend some time contemplating both the clock you choose, and how you choose to display it. Indoors or out a great clock is right up there with a storage ottoman in terms of multi function. Not only is it for the obvious but it can be a great attention grabber depending on the size, style or placement. 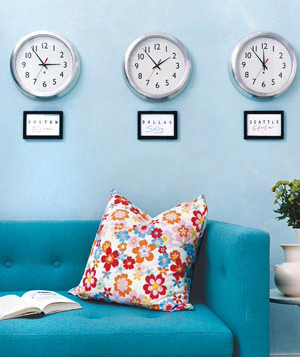 Here are few tips and placement ideas when decorating with clocks. 1. 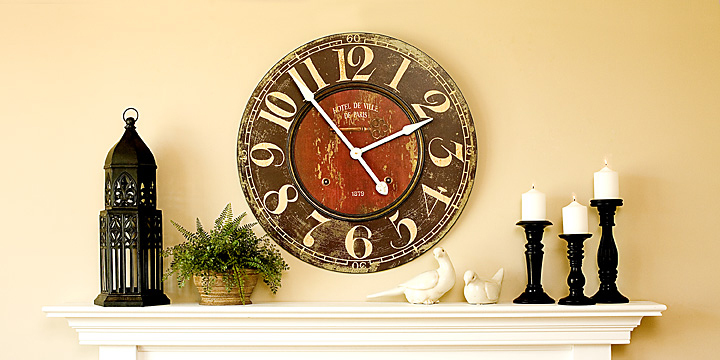 Place a large clock over your mantel in place of the traditional mirror or painting. 3. Create a dramatic grouping of collectable clocks for a one of a kind conversation starter. 2. Try the clock with the iPod docking station so you can awake to the music of choice, not the old buzzer. 1. Add a little sophistication with a crystal clock on the shelf or in the paper weight. 2. 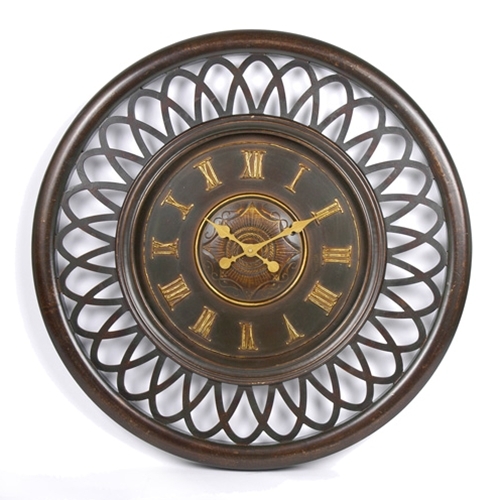 Add a wonderful round clock in a wood or iron frame to the wall. 3. 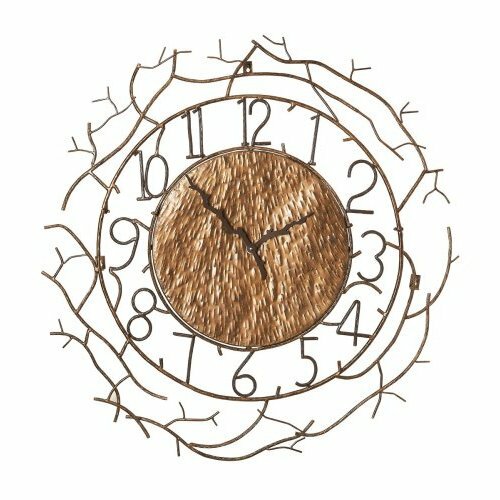 Go all out and hand an abstract free form clock to add character. You can place them up and down the wall, diagonally or in a pattern. When you have one large clock you can place it in the center of the room with several smaller ones all around it. 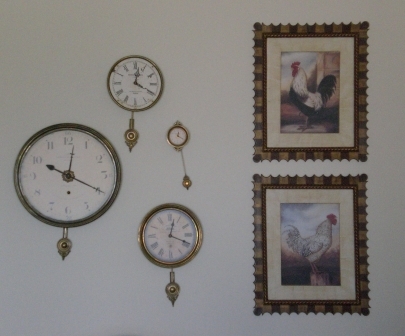 Use your imagination and try different patterns to see which one enhances the unique clock decor the most.